It was in the mid-1980s, I was only 19 years old. I was serving my sentence in Evin Prison, along with other female prisoners. We were in ward no. 246, a place with seven cells including two small rooms each of which housed 12 to 13 prisoners. In that exceptional period in prison, I got acquainted with many women, young and old, whose innocent faces and eyes can never be erased from my memory. We used to call her Jairan. Jairan was very tolerant under torture and very caring for her cellmates like a mother. I had seen her many times looking after the babies who were born in prison, giving her share of food to the ill, helping the injured and old. She was extremely patient and she always tried to calm and support those who were in pain. One of the memories I never forget about her is when she had been taken for interrogation. Like others, she had been flogged viciously, numerous times with cables. Yet, she had been so silent under the blows of the whip, that her torturers thought she had died under torture. So they tested her in various ways but she was alive and had just remained calm and patient. She endured a long period of flogging and torture, so much that the skin and flesh of the soles of her feet had peeled off. The blows of the cables had caused her scars to infect and she was in great pain. Ultimately, they had to operate on her feet in the prison’s dispensary, grafting part of the flesh from her thighs to the soles of her feet. After a while, she contracted a kind of rare rheumatism which made her increasingly weak. However, even in those days, she still helped and cared for others. Finally, her condition became very critical. 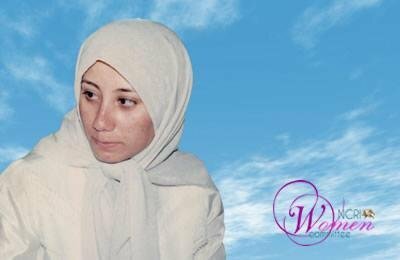 Fatemeh (Jairan) passed away in a hospital in Tehran in 1987 due to extensive infection caused by severe torture.